Today we have found a great “story-song” from Bruce Springsteen that has never been officially released. This is a sweet and funny song that appeared for the first time live on 8 Nov 1996 in Freehold, NJ. Freehold/ In Freehold is never officially released and I think it has only been played live (not recorded in studio). It is a song in the same vein as Growing Up, but set at an earlier age and in a less serious tone. 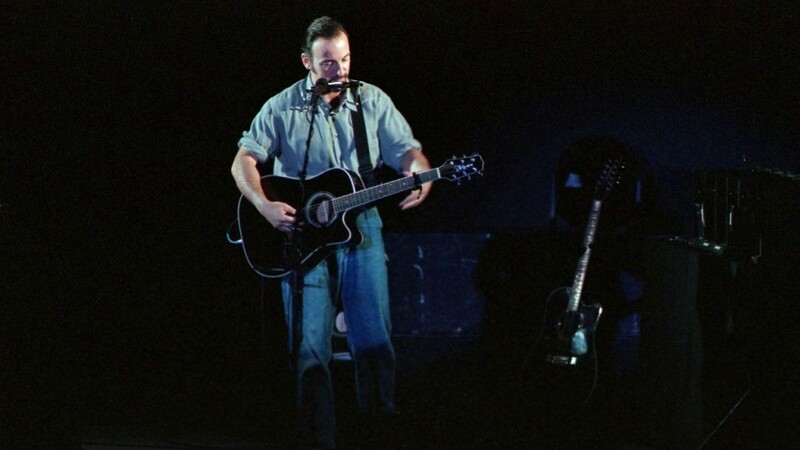 The debut of the song was at The Ghost Of Tom Joad Solo Acoustic Tour (Freehold 8 Nov) and it has been played around 20 times after that. It is speculated that the song was written specifically for this event. It was a sort of homecoming show in the sense that he grew up in Freehold, but hadn’t played there since 1967. 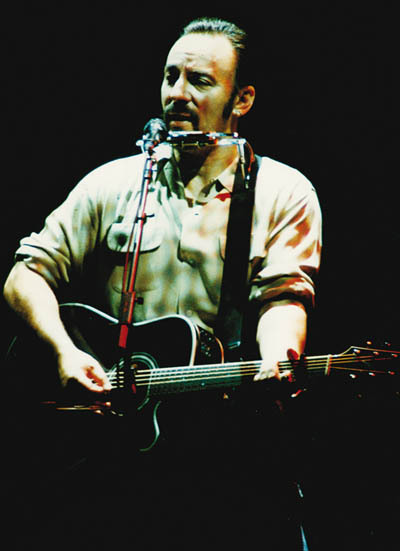 Bruce Springsteen left Freehold in 1968. [Spoken intro]: Got one more for you [cheers]. Well this is a song that I… only gonna sing this song once in my life. It’s gonna be right now [cheers]. Uh… never sang it before, don’t know if I know how to sing it… but I’m gonna try. Uh… Alright, let me give a shot here. Take some of the lights down a little bit because… this is a moody kind of piece. Yeah. Uh not quite that moody, you know [chuckles]. Alright I need some real silence because man I got to concentrate to get this sucker right now! [spoken:] Ah, we got it wrong!